What makes Barbados distinctively charming? One may say that the people and their lifestyles lend to the distinctive charm of a world class island destination. Ambiance surely can't be ruled out, as the surroundings such as endless beaches, luxury resorts, fun nightspots adds to this distinctive charm. So too do the coconut palms, the bearded fig trees, cane fields, flowers, plants and nature. The juxtapose of elegance, luxury and natural charm is a distinctive feature of Barbados. Here cane cutters and movie stars live side by side. The simple chattle house lines the streets and villages alongside the great plantation homes and 5 star resorts where luxury resides. What also sets this island apart from other destinations is the joy, energy and vibes of the people you will meet here on your travels. Our Travel and Tourism Development company, AXSES SCI was one of the first to market Barbados on the Internet. Our task began in 1994 with the idea of building interactive digital systems for marketing Barbados. Our first project, with funding from the Canadian government, was to build interactive kiosks based on map location. This became the info-atlas that was highly regarded as a leader in its time. 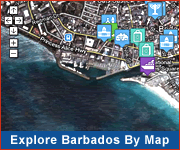 The Internet and the website took over the kiosk initiative and maps, databases, graphics and rich content became the Barbados Tourism Encyclopedia on the Internet. For several years it was the official website of the Barbados Tourism Authority, owned and marketed by AXSES SCI. It grew daily as we added more and more content to describe Barbados, its people and culture as well as the attractions, restaurants, hotels and events on the island. On the prior redesign, we took a bold step to showcase the people and culture of Barbados with a site that was tagged “Discover... Dream... Enjoy...” It’s still a call to action on our pages but we wanted to represent Barbados, not so much in terms of what to do, but in terms of why it is different. The team mulled over many ideas and suggestions but we kept coming back to the single premise that Barbados is not one thing but a combination of things. Of these, we chose “distinctive” to describe its luxury hotels and the best beaches in the world. The small hotels and B&Bs are also a vibrant part of the mix of accommodation and what we found was common to all is the charm and personality of the places. “Charming” is also the word used by visitors to describe the Barbados experience. “Naturally Charming” is in fact a term we registered many years ago, but it is only a part of the story of Barbados. It does not capture the nature of our luxury hotels and resorts that are elegant on a world class scale. They are often understated, appealing to the very wealthy and famous who love the fact that they can exist in this island without being horded or pampered with pomp and ceremony. 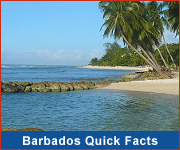 This natural charm and hospitality is distinctive; it is very special to Barbados. “Distinctively Charming” seems to cover the essential difference of this very special island. So, when we designed the new website, that phrase laid the foundation on which we built new content and presented the old. Distinctively Charming.